Season two of “Mob Psycho 100” successfully delivers top-notch animation, action, and characterization. For thirteen weeks, I looked forward to my weekly Monday routine: crashing down on the couch after a day of classes and jamming to the psychedelic opening of “Mob Psycho 100” season two. The opening terrifically represents the anime, with its kaleidoscope of various art styles, quirky cast of characters, and flashy fight scenes that serve as eye candy for anyone with an appreciation for animation. From ONE, the same creator of the popular “One Punch Man,” this story centers around Shigeo Kageyama, nicknamed Mob. As a socially awkward middle schooler with psychic abilities, he deals with what you might expect — learning how to make friends, trying to impress his crush, and fighting evil spirits. Under his boss and master, Arataka Reigen, Mob hones his social skills and powers as the two of them (but mainly Mob) perform exorcisms for clients. While season one was a more typical slice-of-life shōnen (anime targeting a young male audience), with Mob adjusting to middle school life and dealing with a ragtag array of petty antagonists, season two amps up the ante. Mob single-handedly takes on opponents so powerful that even Thanos would tremble. Antagonists include a dangerous spirit named Mogami possessing a girl, a psychic bent on exposing Reigen’s fraud psychic skills, and a psychic army taking over the world. This season also sees the friendship between Mob and Reigen tested. In a refreshing move, “Mob Psycho 100” departs from the generic, frequently sexualized styles of many anime shows, in favor of a style that allows visual gags and animated expressions. For example, it integrates other forms of animation and design, such as paint-on glass animation (which creates an oil painting appearance) and direct pencil sketches that mimic the original manga. In season two, the full extent of capabilities of this art style is pushed to new limits with bigger and bolder fight scenes. Admittedly, the stakes start to wear down as both villains and Mob grow to unfathomable powers and characters become almost physically indestructible. But this is only a small problem, because these massive showdowns are, frankly, just super cool. As an adaptation of the source manga, the anime does a respectable job at incorporating many of the manga’s highlights in season two. 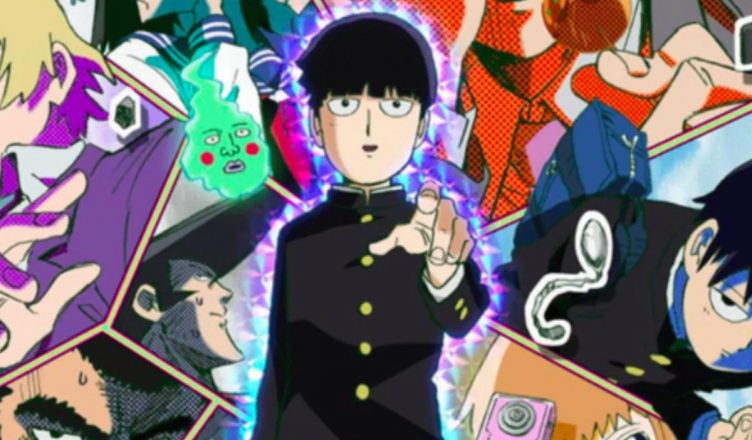 While some criticize Bones for leaving out key panels from the manga, such as darker moments from the Mogami story arc, many agree that the anime has effectively created its own version of the “Mob Psycho 100” story while staying true to its original source. Whether a season three is in the works is still up for discussion. The original manga was completed in 2017, and manga readers note the small amount of original material left that can be adapted, making it likely that season three, if confirmed, would be the last season. Nonetheless, it was recently confirmed that there will be an OVA (Original Video Animation), or a standalone “episode,” in the meantime. In an interview about “Mob Psycho 100,” ONE explains how “I wanted it to be something that feels kind.” The anime successfully fulfills ONE’s wishes, delivering a well-developed and beautifully animated show where you can’t help but root for everyone.